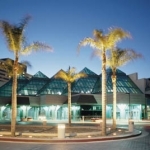 Health 2.0’s annual conference starts next week at a new venue in California’s famous Silicon Valley. The conference focuses on business aspects and the economics of healthcare, and features product launches from start-ups and established companies. iMedicalApps will be there to cover the latest health technologies and demos.